Taguchi Inuo was born in 1967 a few years after the Tokyo Olympics. Inuo, his pen name, literally means Dog Man. His first book of poetry 『二十世紀孤児』（20th Century Orphan）came out in 1995 right in the middle of Japan’s economic debacle. Inuo’s poetry is characterized by being free of the cultural and literary tradition of Japan. In fact Inuo Taguchi’s style is in distinct contrast to the mainstream of Japanese poetry. His second collection 『モー将軍』(General Moo) published in 2000 won the 31st Takami Jun Award　(高見順賞). It was followed by 『アルマジロジック』(Aramdillogic) in 2002 and by『ハッシャ・バイ』 (Hush-a-Bye) in 2003. William I. Elliott and Kawamura Kazuo, Professors Emeriti of Kanto Gakuin University, began translating the poems of Tanikawa Shuntara in 1968, unwittingly embarking on what became–and remains–the life-long task of Englishing the entire Tanikawa corpus. Pausing en route to translate the poems of Sasaki Mikiro, Ooka Makoto, Kawasaki Hiroshi, Shiraishi Kazuko, Toshimasa Gozo, Taguchi Inuo and many others, they have made a major contribution to exploring what still remains the barely explored gold mine of modern Japanese poetry. They founded–and still co-direct–the Kanto Poetry Center in 1968. Its bilingual annual Poetry Kanto was established in 1984. 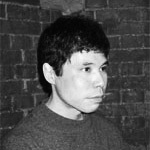 Kawamura has published many articles on the English Romantics, especially Shelly, while continuing his study of Dante and the Russian language. Elliott has published seven books of poems and other books of translation with Noah Brannen and Nishihara Katsumasa.